Although many of us partake in the act of giving during the holiday season, there are many who feel that they cannot afford to give as much as they'd like to charity. Now a new website called The Giving Effect offers us the opportunity to give not just money, but vital supplies to charities in our neighborhood and all across the country. The site already has 1000 charities registered that have listed items they can use. Many of us have extra stuff sitting around the house, so the Giving Effect provides the opportunity to re-gift our unwanted things. Hit our slideshow to read about a few of the organizations that could use your help, and get inspired to go out and give. Founder Mitchell Silverman says that “Most people don’t realize there are many small, community-based organizations that could benefit from things we can spare like extra cleaning supplies and gently used books.” You can search the website to match what you have to those who need it. You can also search by type of charity, tax deduction, or location. This also gives the charities a good way to let us know about what they don’t need and what they could use. If you are a part of a charity, signing up for the Giving Effect is free. “We are working to create a greater awareness of people in need, which is especially urgent during the holidays,” Mitchell Silverman continues. “Each donation on our site becomes a living story that can be shared on Facebook or Twitter to spread the holiday spirit, encouraging friends to follow your lead.” So now you can clean out your closet for the greater good. Hug It Forward’s goal is to create schools built out of wasted trash bottles called "bottle schools". 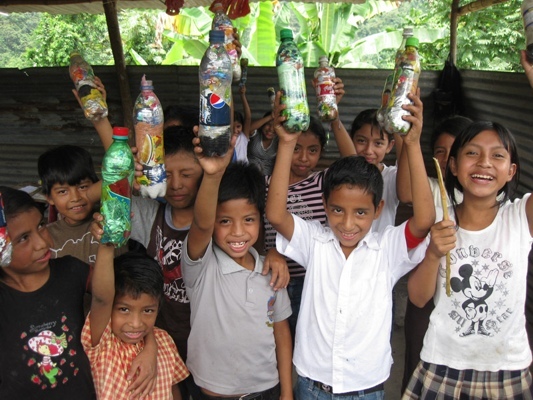 You can see a video of how bottle schools are made on the home page of their web site: www.hugitforward.com. They completed their first bottle school in October 2009, in October 2010 they completed our fourth, and now they have five more bottle schools in progress. They can build a school for around $10,000. They say: "We need frequent flier miles, buddy passes, airline gift certificates, etc, to get our staff to and from Guatemala and to travel within the US to fundraise in different cities." Illinois Valley Cat Taxi is a non-profit organization and no-kill cat shelter in Mendota, IL helping to alleviate the cat overpopulation crisis in the area through low-cost spay/neuter services and Trap-Neuter-Return (TNR). Their spay/neuter service is offered to anyone regardless of area or income, and to both indoor and outdoor cats. Since 2008, IL Valley Cat Taxi has spayed or neutered nearly 1,500 cats. They know that spaying and neutering is the best path to creating a no-kill community, and are currently transporting over 100 cats per month into Chicago for low cost spay/neuter. At their IL Valley Cat Taxi, they always have rescued cats and kittens available for adoption, as well. They are always in need of cat food, cat litter, cat supplies like flea treatments or medications, cat beds, toys, old linens, office supplies, postage stamps, gas station or pet supply gift cards. The Center For Social Change helps individuals become contributing members of the community through providing residential and support employment programs and services. This builds independence and confidence among the individuals we support and helps them live lives no different than individuals without developmental disabilities. 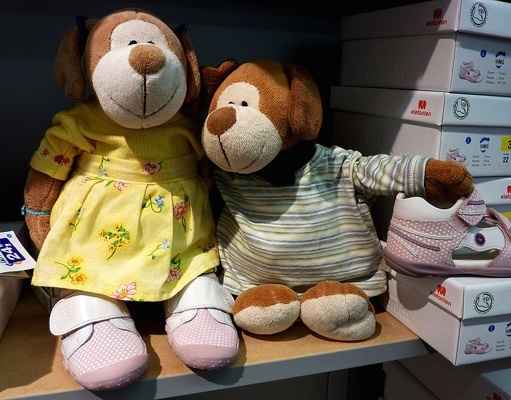 Individuals need items that will further their learning and will provide recreation including, books, music, toys, bikes, balls, games, items to dress homes, tickets to events, and hygiene products. Hope for Haiti's Healthcare Program focuses on three main activities: distributing medications and medical supplies to healthcare facilities in Port-au-Prince and the south; operating the Infirmary St Etienne in downtown Les Cayes which serves 150-200 people per day; and hosting medical missions of visiting nurses, doctors and other healthcare professionals who provide mobile medical outreach to rural areas. Hope for Haiti could use shampoo, toothpaste, toothbrushes, deodorant, bar soap,disposable razors. Child & Adult Aspirin, cough medicines & allergy meds. Alcohol Antiseptic Pads, 4x4 gauze pads. Baby receiving blankets. The Spay-Neuter Assistance Program (SNAP) provides free and reduced-cost spay-neuter and animal wellness services. The mission of SNAP is to prevent the suffering and death of cats and dogs due to overpopulation and preventable diseases, especially in low-income areas. Donated supplies are given to their clinics or offices. Pacific Marine Mammal Center is one of the longest running marine mammal hospitals in the nation. Each year approximately 200-300 seals and sea lions are rescued that are in need of medical attention. PMMC rehabilitates every animal in need, and then releases the animals back into the wild upon recovery. PMMC is also an educational institution and teaches approximately 10,000 students and visitors each year. Pacific Marine Mammal Center needs cleaning supplies and classroom materials for our Center. Trust In Education is a grass roots US organization, providing educational, economic and health care assistance to villages in Afghanistan. They inform and enlist Americans to become directly involved in the reconstruction of Afghanistan. They serve as a tie between Afghan villages and American communities, and win hearts and minds in both. Warm clothes are in high demand as winter sets in. The children need school supplies, they have nothing, and anything to make a home nicer is appreciated. Kayam Farms works with a multitude of people from all different backgrounds. Students from school groups, seniors, preschoolers, individuals, families, etc. They come to the farm to volunteer, learn about the environment, pick up their weekly share of vegetables, or just have fun. They have a five-acre farm and grow food for upwards of 50 families. Depending on what they need, different people will benefit: their members, participants in school programs, the farm at large. They run many different educational programs, experiential in nature, and people come away from those experiences having learned a lot and having done something new. Wild South has worked in a six-state region, covering NC, SC, AL, GA, TN, and VA to: STEWARD OUR NATIONAL FORESTS: They participate in the USFS decision-making process to ensure that agency projects protect and restore ecosystems, serve public interests and comply with environmental laws. Their work has protected close to half a million acres of forest. Jacob's Heart Children's Cancer Support Services has been helping children with cancer and their families for over ten years in three counties on the central coast of California. They offer emotional support and creative outlets for their kids and families, as well as practical monetary support, and opportunities to celebrate their achievements and a space to grieve the losses along the way. Their most important in-kind donation need is $25-$50 gift cards for food or gas! They also always welcome art supplies, kids' toys & games, and gift cards for fun activities to use as birthday gifts. Experience Corps - Minnesota places volunteer tutors, age 55+, in inner-city school in St. Paul and Minneapolis to work one-on-one with students who are struggling with reading. Many students are English Language Learners, the majority are low-income, and all are behind their peers in reading. Tutors spend at least 60 minutes/week with students who participate. They would love to receive multiple copies of the same book, so that learning can be extended into the homes of the children, where, often there are few books available. K-9 Heroes Rescue was created after the founders realized how many dogs were euthanized in shelters, especially after only being in the shelter for a few days. Their goal is to find homes for dogs that just need a little more time, and a little help, to find new owners. Our trainer evaluates the dogs we rescue, looking for dogs that are trainable and that can be socialized to make them more adoptable. Flea and Tick control for dogs - Advantix and Comfortis. Land to set up a kennel. Appliances to use at the new kennel. Vehicle to transport dogs-SUV, station wagon in good running condition.